Dr. Denis Valente serves comfortably from monday to friday from 9 am till 5pm at his own clinic, where is provided parking within the site and accessibility for people with special needs. In clinical procedures are performed Bioplasty (with Metacrill ®, Juvederm ® and Voluma Rofilan Hylan Gel ®), botulinum toxin (Botox ®), self-sustaining wires (Ethicon ®) and has own Laser and Intense Pulsed Light equipment. It’s possible to perform all these treatments at the same day of initial consultation for clients who come from other cities, states or countries. 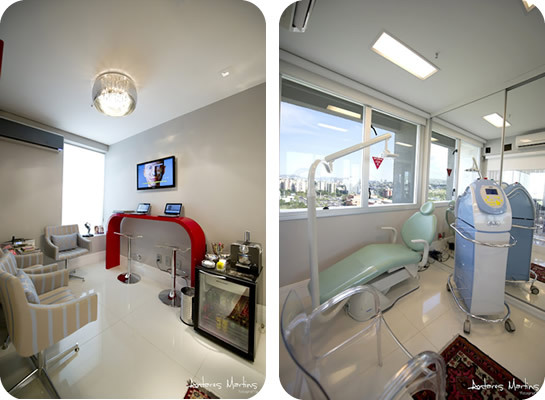 The plastic surgeries are performed at the Hospital Mãe de Deus Center which is nearby, at Av. Soledade, 569 nearby Av. Carlos Gomes, the neighborhood called Três Figueiras, Porto Alege, Rio Grande do Sul/Brazil. The Clinic also indicates hosting at the following hotels: Novotel Porto Alegre, Sheraton Porto Alegre and Blue Tree Towers Porto Alegre. Use the phone +55 51 30612484 or contact form to schedule your evaluation.